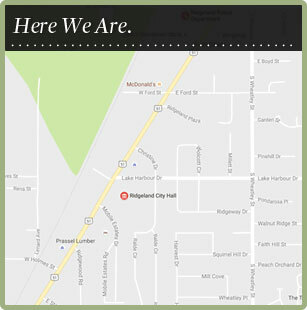 Over the last two weeks, there have been several Auto Burglaries reported to the City of Ridgeland Police Department. Our investigation has shown that in each incident, valuables were left in plain sight inside the vehicle. Please take heed to the warnings, and don’t be a victim. Please see the information below. Following these simple suggestions could mean the difference in you being a victim or not. Don’t leave any “sign” that there might be valuables “out of sight” in your vehicle, such as docking stations or connector cables. Leave nothing in “plain sight” that might make your vehicle worth “investigating” by a thief; not even loose coins or a CD. Try to park in well-traveled areas. Large anonymous lots are hit by thieves much more often than parking immediately adjacent to residential housing or other occupied buildings. . Auto-burglars prefer breaking into cars where they will not be observed or attract notice, and choose their targets accordingly. As a last line of defense (not really to prevent theft as much as to aid in recovery), mark your valuables. Recording serial numbers is great, but nowadays many serial numbers are on removable “labels”, rather than “engraved” into valuable items. Also, a serial number doesn’t “directly” link you to your stolen property. We’d suggest inscribing/engraving a “personal identifier” on all valuables. As soon as you notice something’s stolen (or that your car has been broken into) do not touch/adjust anything in, on, or around the car. As soon as possible, call the police to report the incident.